BWP Trivia Night Special Brewery Prizes! Every Monday night is Trivia Night with serious fun, prizes, beer, wine, food and friends! 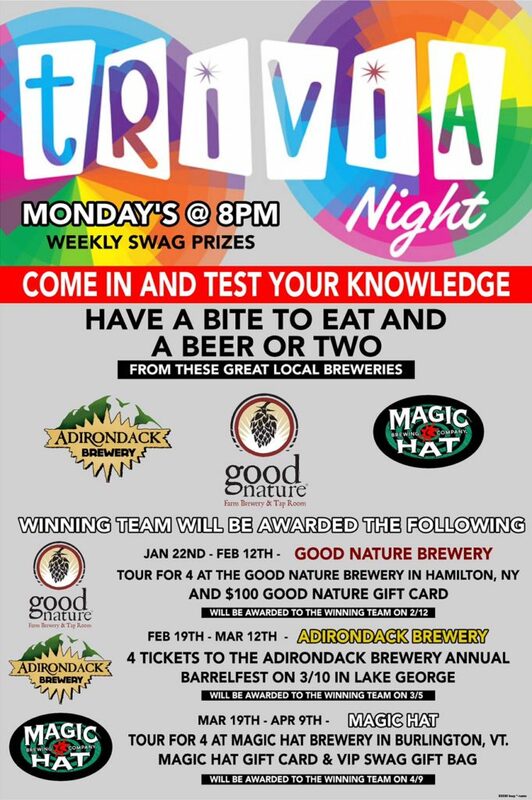 Check out these great prizes we’ll be giving away from Good Nature Farm Brewery, Adirondack Brewery and Magic Hat Brewing Company!